Van Geibel got to the Winners Circle September 8th in the Liberty Gears All Motor Class at Milan. The final round against Vince Khoury turned out to be a close race with Geibel laying down a 7.639 to Khoury’s 7.669. 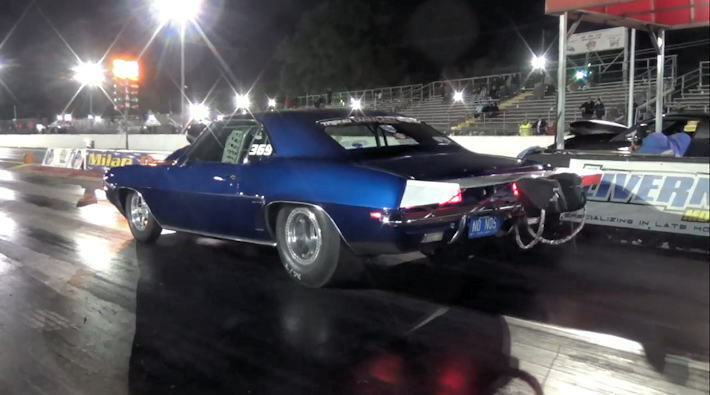 Not bad for a 694″ Naturally Aspirated at 3200 lbs! Van uses a Neal Chance Bolt Together in his awesome 69 Camaro. Congratulations to Van and Crew Rick Dodge on the win!